September 28, 2017 by Beeraj Patel, Esq. Marriage fraud is a federal crime that can take many forms. The legal consequences for both the immigrant and U.S. citizen engaging in visa fraud in the marriage process can be harsh with significant penalties. You may be found culpable of visa fraud if you enter the United States for the purpose of finding a spouse and soon after file for a change of status. To avoid visa fraud, it’s important to be honest in your communications with the U.S. government. Always provide full disclosure and do not give false information that could get you prosecuted for visa fraud. The U.S. visa is a document that grants a foreign traveler permission to enter the United States to visit, work, and live. Some tourists or foreign nationals may choose to marry a U.S. citizen with honest or dishonest intentions. Marrying a U.S. citizen for the purpose of getting around U.S. immigration laws is considered marriage fraud. For a marriage to be valid under U.S. laws, it’s not enough for the couple to have an authentic marriage ceremony and obtain their legal marriage certificate. They must also intend to live together in a real martial relationship and establish a life together following the marriage ceremony. U.S. Citizenship and Immigration Services (USCIS) are responsible for detecting marriage fraud between aliens and U.S. citizens. To prove that your marriage is real, you must provide adequate proof exceeding marriage documentation. Marriage-based immigrants are subjected to longer, more detailed interviews, in addition to two years of testing for couples who have been married for two years or less when their green card is approved or upon entering the U.S. Inspectors have the right to visit your home, interview employers, speak with your friends, or engage in other activities to authenticate your marriage. How to Avoid Visa Fraud? To avoid visa fraud, it’s important to give only truthful information to the federal government when obtaining a visa. Lying about any detail on your application, such as how many times you’ve been married, can result in visa fraud. If visa fraud is discovered after an applicant has been granted a visa and permanent residency, the immigrant is still at risk for being prosecuted for fraud and could possibly be removed from the U.S. Visa fraud caused by providing false information on your application can be avoided by answering all questions honestly. Using the Visa Waiver Program or tourist visa as a shortcut to permanent residency also constitutes visa fraud. While the visa process has been made lengthy and more complicated to avoid visa fraud, the USCIS still sees it frequently attempted. The Visa Waiver Program, or VWP, allows citizens of certain countries to travel to the U.S. for tourism or business purposes, such as an individual with a L1A visa. Under the VWP, an immigrant can travel to the U.S. for a period of less than 90 days without getting a visa. Citizens of countries not enrolled in the VWP must obtain a B1 or B2 visa to gain entry into the U.S. for tourism or pleasure for less than 90 days. Other common mistakes and application errors could also threaten a marriage-based visa or green card. Most importantly, you must be legally married. This means that you cannot be married to someone else. If you have been previously married, you need proof that the marriage has been legally ended via a divorce or death certificate. Failure to provide this documentation could lead to a delay in your request. 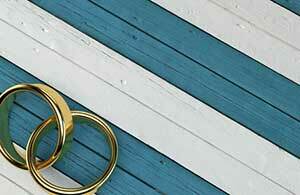 Your marriage can also not violate any federal or state laws. For example, if your state prohibits marriage between blood relations or underage persons, the marriage may not be legal. To avoid visa fraud, an immigrant can also not attempt to adjust status soon after entering the U.S. using a tourist visa or visa waiver. In most cases, the U.S. petitioner begins the marriage visa process by filing Form I-130. The immigrant can then contact an overseas U.S. consulate and attend an interview in another country. As this process can take several months, the immigrant will usually remain in the other country as the U.S. petitioner remains in the United States. To avoid having to stay out of the country, some immigrants try to enter the U.S. on a tourist visa and adjust status. While this method isn’t technically illegal in all cases, it does require some strict guidelines. For this strategy to work, the immigrant has to prove that he or she did not misuse the tourist visa or commit visa fraud. While entering the U.S. for tourism and later meeting your spouse is usually okay, entering the U.S. with the goal of meeting a spouse is not. U.S. immigration laws aim to prevent foreigners from entering the United States if they believe that the person may become a public charge. Having a plan in place to support yourself is important to prevent your application from being denied. Typically, the U.S. citizen must file Form I-864 (Affidavit of Support) to prove that he or she is able to provide the immigrant with any necessary financial support for a certain number of years. This individual must also show proof that the household is at an income level of at least 125 percent of the U.S. Poverty Guidelines. Providing false documents as proof or lying on the application can result in fraud. 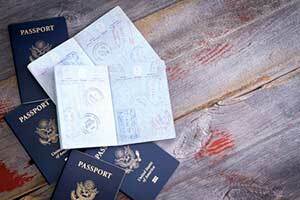 Marrying on a tourist visa is a common way for immigrants to remain in the United States. However, certain mistakes (whether accidental or intentional) can result in legal implications and a guilty charge of visa fraud. If you plan on marrying a U.S. citizen or have already married a U.S. citizen, hire a competent and experienced immigration attorney to prove the validity of your marriage. Your immigrant attorney can guide you through USCIS procedures and the interview process and help you avoid becoming a victim of prejudicial bias. Contact the immigration attorneys at Pride Immigration Law Firm today to schedule a consultation.